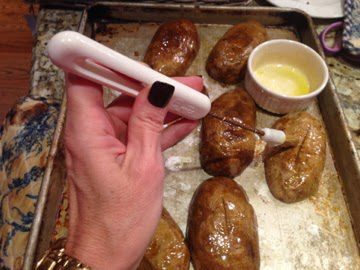 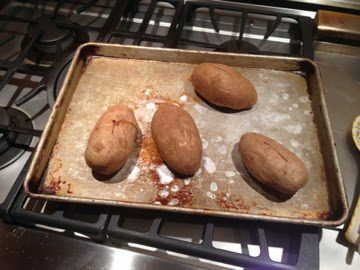 Prick the potatoes a few times with a fork and bake at 400F until tender, about an hour. 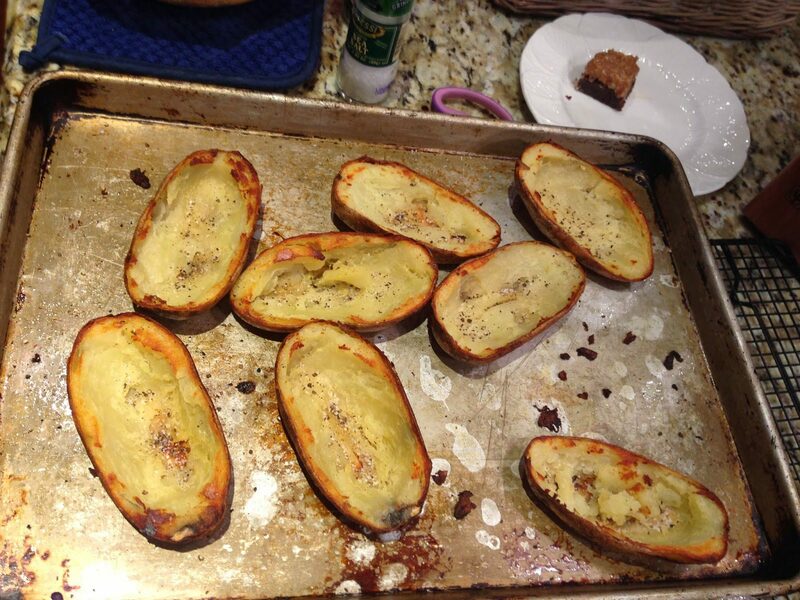 Let the potatoes cool, cut in half and scoop out the middle leaving about 1/8 inch of potato on the skin. 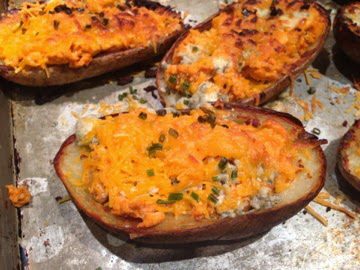 Reserve the scooped out potato for another use like mashed potatoes. 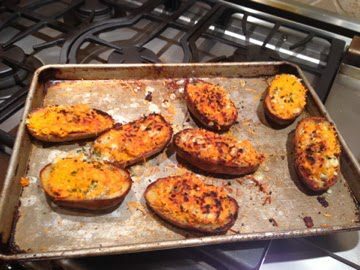 Brush the potato skins all over with the oil and bake at 450F for 10 minutes on each side. 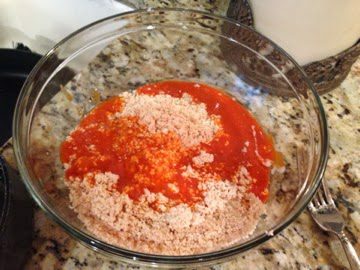 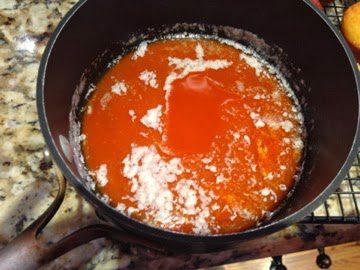 Mix the hot sauce and the melted butter and then mix in the chicken. 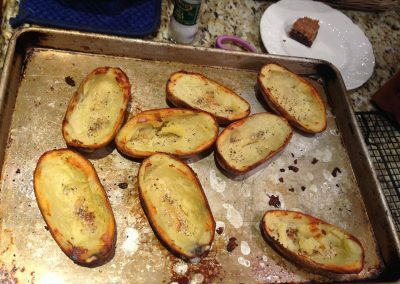 Season the inside of the potato skins with salt and pepper. 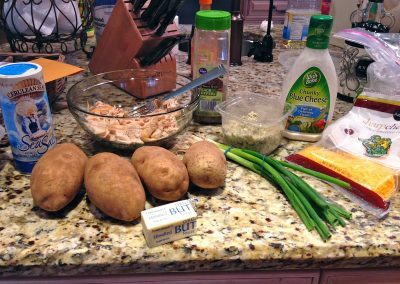 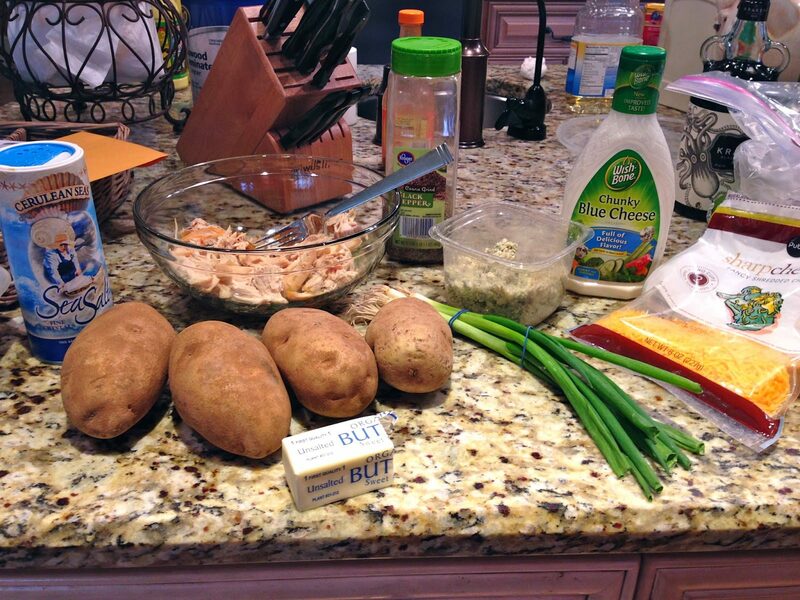 Fill with the chicken, and then sprinkle on the two cheeses. 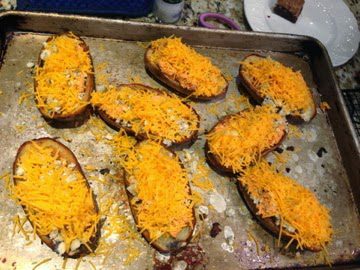 Broil until the cheese has melted, just a few minutes. 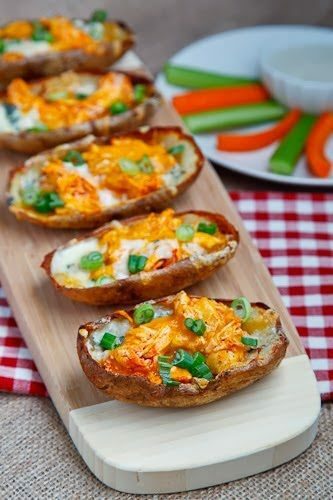 Serve while still warm, garnished with green onions and with celery and carrot sticks and blue cheese dressing for dipping.